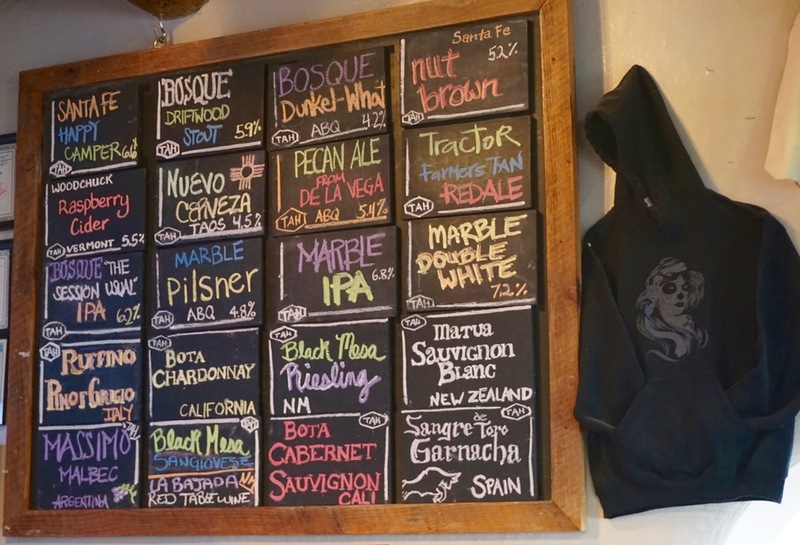 Our first stop outside of Texas was Santa Rosa, New Mexico. 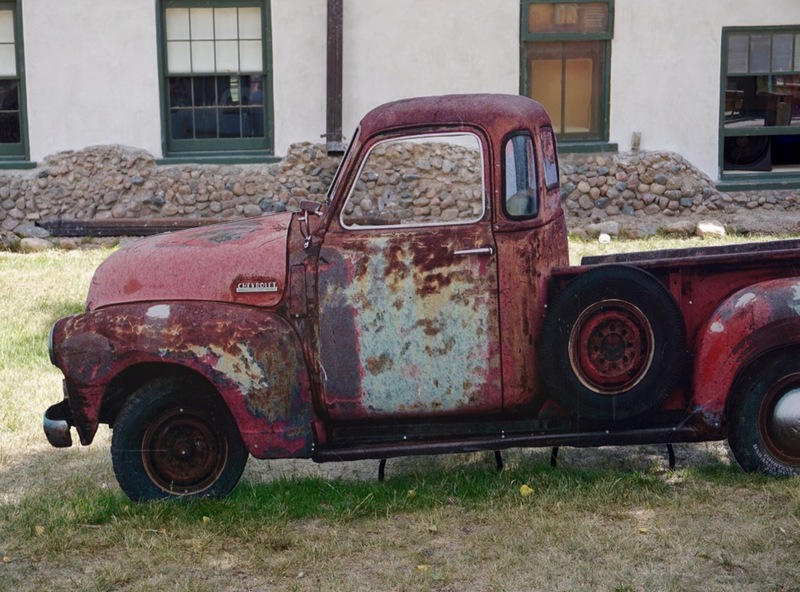 Santa Rosa is a small town on historic Route 66, but as far as we could tell, that is about all the town has going for it. It was also 100 degrees when we arrived and we were both still hungover from staying up late drinking wine with Monty. We closed all the blinds, cranked up the A/C and worked on inside projects until we felt human again. Later that day I actually saw the thermometer read 107, so I think we made the right choice, hungover or not. We ordered dinner from the BBQ joint that shared the building with the RV park, mostly because they deliver to your RV! It was definitely not the best BBQ we’ve ever had. Brandon’s 8 oz chicken fried steak was really just two previously frozen 4 oz patties and I’m pretty sure the ribs were boiled, not smoked. We went to bed early, ready for an early departure to Santa Fe in an effort to beat the heat. When it’s very hot out, driving in the morning is much easier on the motorhome and us. I spent most of our day in Santa Rosa booking camping spots for the next few weeks. 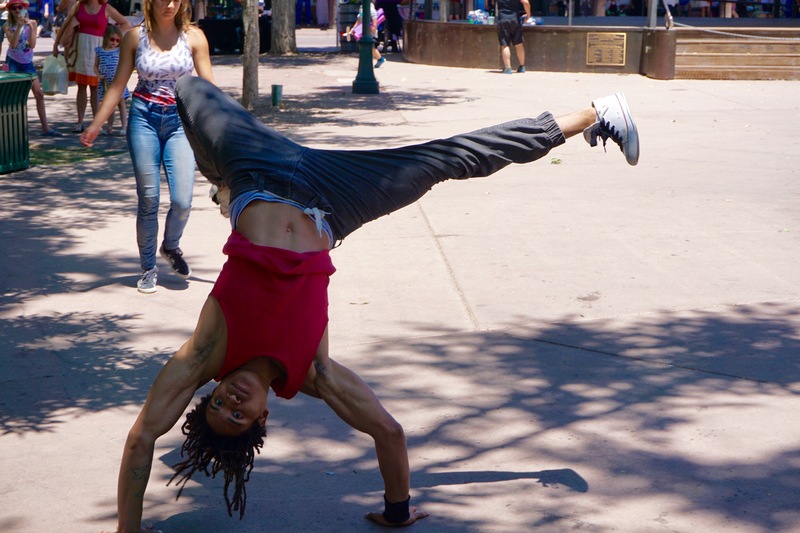 We like to stay flexible but when we got to Santa Rosa I realized that I didn’t even know where we would be staying the following night in Santa Fe. We were also nervous about not being able to find a spot during the popular 4th of July weekend. It took me a while but I managed to find us really awesome spots all the way through July 6th. 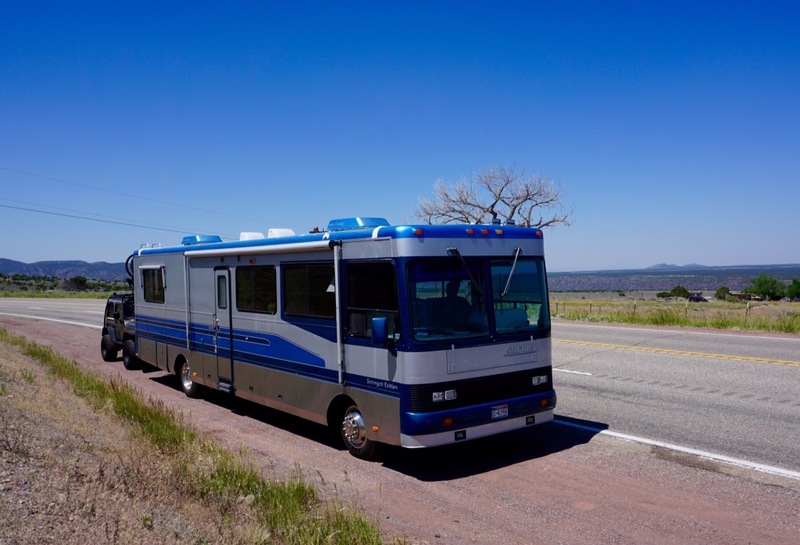 Our first “real” stop outside of Texas was at the Trailer Ranch RV Park in Santa Fe, New Mexico. The park is also home to a 55+ community but that should not discourage anyone in the under 55 set from staying there. The RV park was no more of a 55+ community than any of the other RV parks we’ve stayed at (we’re used to being younger than all of our neighbors). The only difference with this park was that there were no children. 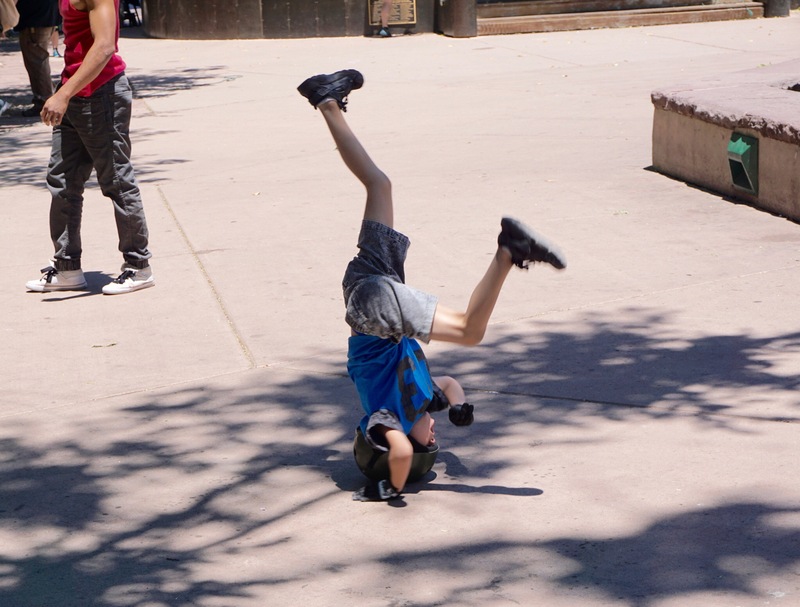 Although the 55+ community is actually separate from the RV park and you do not need to be over 55 to stay there, the park still maintains a strict no kids policy. All overnight guests must be 21 or older. 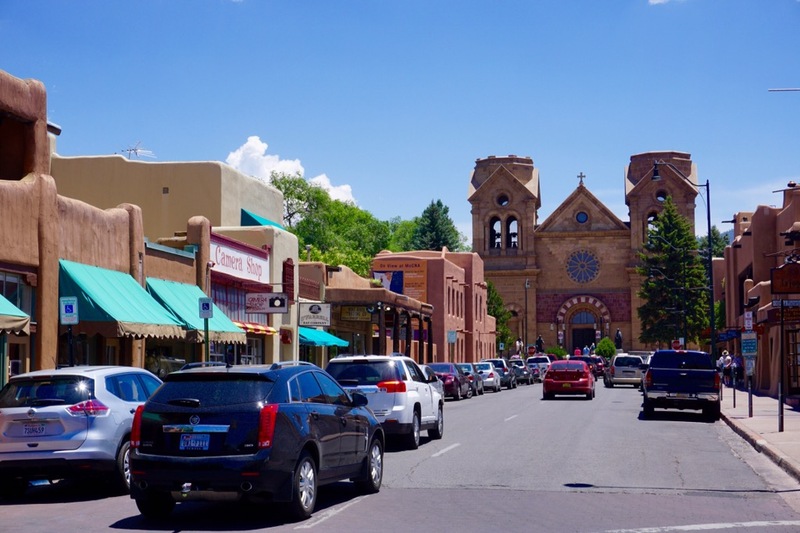 I was initially hesitant to book a spot in what was essentially a retirement community, but I had few options when booking in Santa Fe only one day in advance. Surprisingly, Trailer Ranch actually turned out to be one of the best RV parks we’ve stayed at. When I called, someone actually answered the phone instead of the usual answering machine that never returns my calls. Even better, the person on the other end of the line was very organized, asked all the right questions such as how long our RV is and what we were towing, and cheerfully answered all of my questions such as “Can we still stay there even though we’re only over 55 if we combine our ages?”. When you arrive at the park someone comes out and leads you to your spot in a golf cart and even helps guide the driver as they back into or pull into their spot. They call this “marriage-saving” assisted parking. All of the sites were meticulously clean and well shaded, but best of all, every single staff member we met was friendly and seemed genuinely happy to be working there. They were also full of recommendations for where we should eat and what we should go see and didn’t try to send us to a single chain resturant. They told us we need to try the “local” resturants to really get a feel for the place. Love it! The only downside to Trailer Ranch was the price. The per night cost was at the high end of what we usually see, but that often happens when you try and stay inside a popular city. But unlike some other expensive parks we’ve stayed at, this one was actually worth the money. And I promise they did not give me a discount in exchange for writing this. After setting up camp we went out to lunch at the Plaza Cafe – South location. The Plaza Cafe is a Santa Fe institution. The original location on the main plaza has been serving their signature mix of diner classics and New Mexican specialties since 1918. We each had a margarita to start. A friend of ours told us that the margaritas in New Mexico are especially good and she wasn’t wrong. Fresh lime juice instead of the usual sugary mix is really the only secret but it makes all the difference. For lunch, Brandon ordered the chicken fried steak and eggs (he needed a redemption after his sad school-cafeteria style steak in Santa Rosa). 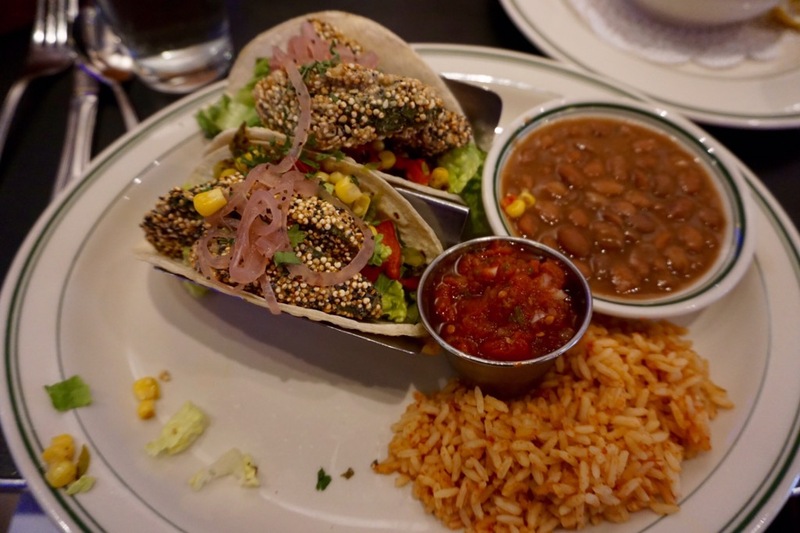 I ordered the quinoa-covered avocado tacos. 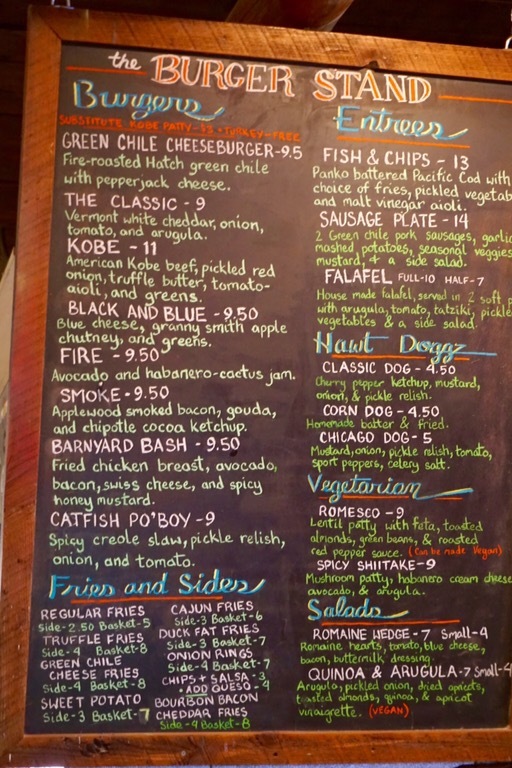 Everything was fantastic but our favorite dish was the Greek fries we had as an appetizer. They were your typical French fries but they were topped with feta cheese, olive oil, lemon, and herbs. After lunch we stopped by Target to pick up some groceries and and realized that you can’t buy beer in grocery stores in Santa Fe (or at least not at Target). I anticipate that traveling all over the US will be a lesson in how varied liquor laws can be, among other more practical lessons of course. When we got home, Brandon left again to go wash the Jeep (car washes have an almost magnetic pull on him) while I stayed home to go through my emails. My productivity went completly out the window when I opened an email from our wedding photographer saying that she was done editing our photos and with a link to view them! I was now completly engulfed in reliving our wedding day through all 1100 photos our photographer sent me. I then went through all 1100 again when Brandon got home. It took hours but we both cried happy tears all over again. I am currently working on a feasible way to condense all 1100 into something more manageable that I can share here on the blog. I hope to have something up soon, but I need a pretty good wifi connection to download and upload that many high-resolution photos, and good wifi and cell service seems to be lacking out west. The next morning was like an episode of the twilight zone. Brandon didn’t sleep well and I slept like a rock, not too unusual, except that I also got up very early while Brandon slept in. This almost never happens. Brandon is an early riser, while I don’t like to leave the company of the blanket clan without much encouragement. I also don’t usually feel fully awake until I’ve had a giant glass of hot black tea with milk and honey. But that morning I woke up bright and bushy-tailed while Brandon slept. I cleaned the living room and bathroom (all before tea), showered and actually blow-dried my hair (also a rare occurrence since we moved into the RV). And when I was done I made breakfast tacos! I told Brandon not to get too used to this because he’ll just wind up disappointed. After breakfast we made our way to the historic downtown plaza. 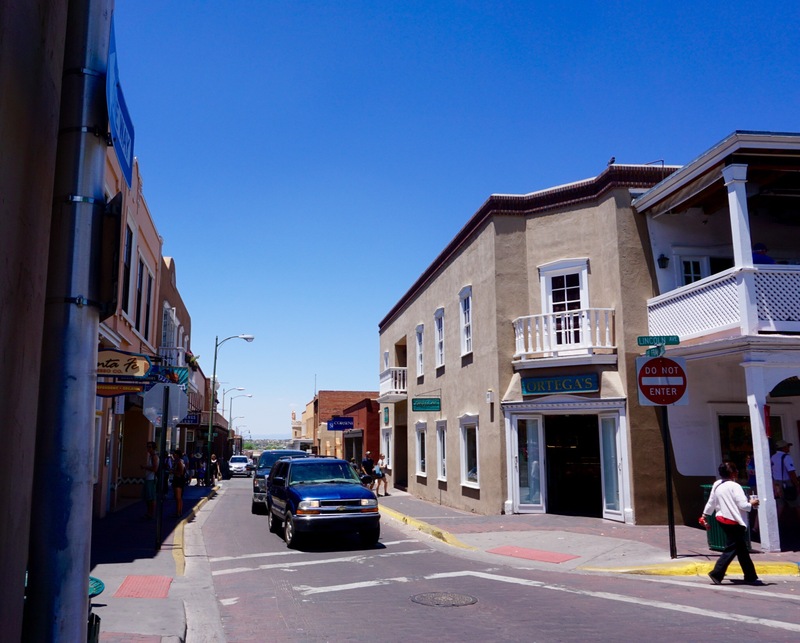 Santa Fe is a very old city, with its plaza as its heart. Once we had navigated the narrow streets and found parking at a paid lot (no free parking here) we walked over to the Lorretto Chapel. 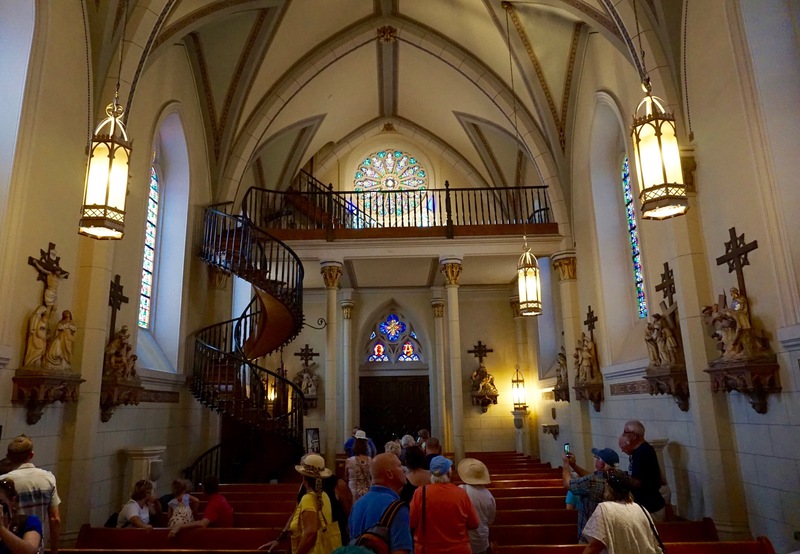 The Chapel is a very small and old Catholic church famous for its mysterious staircase. Legend has it that an unknown carpenter wandered through town and took on the job of building this staircase for the church. When he was done with his creation he mysteriously disappeared and to this day no one knows who he was. Like most good stories, I suspect this one has been slightly altered over the years. 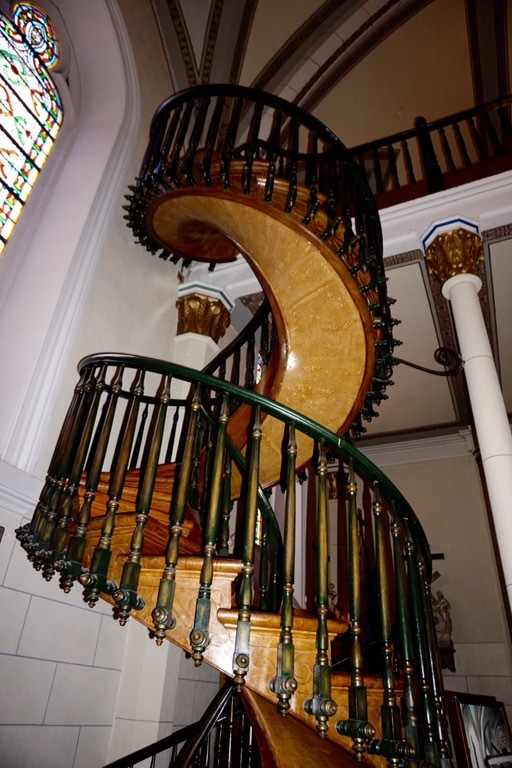 However, the spiral staircase is remarkable all on its own because it was built with no nails, no screws, and no additional support structure. It was perfectly designed and built to hold its own weight. It is an engineering marvel (or so the sign says). The church is also stunning, although it would have been more so without so many tourists gawking at the staircase. With our fill of churches for the day, we walked over to the main plaza to check out some of the shops before stopping for margaritas as a bar overlooking the plaza. We didn’t buy anything because the shops around the plaza are all ridiculously expensive. We ogled gold and turquoise jewelry that cost thousands of dollars and gorgeous wood furniture with turquoise inlays that cost more than my last car. But if you love turquoise like I do, and have a bigger budget than I do, this is definitely the place to go. So many amazing beautiful things. Note: I didn’t take pictures inside the shops because it seemed rude when I had no intention of buying anything. 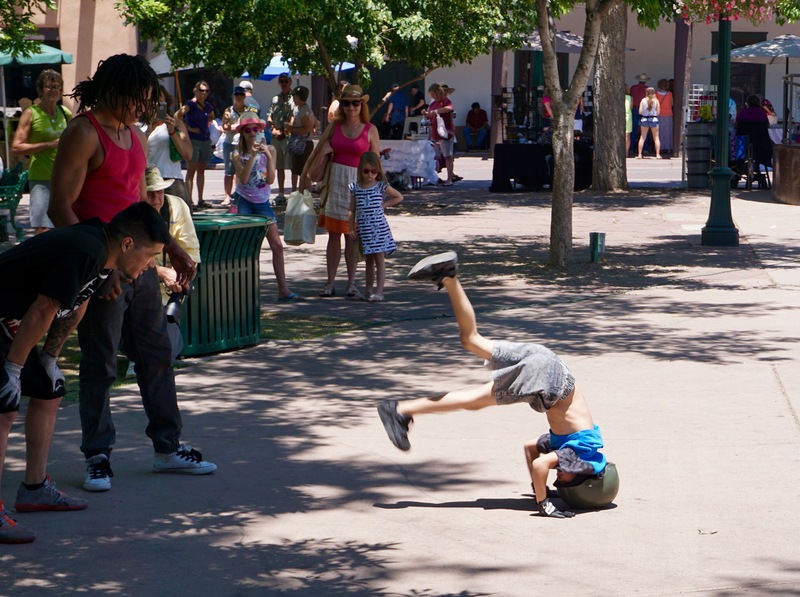 On our way to margaritas we stopped to watch some breakdancers in the plaza. It was Father’s Day and the father/son duo were particularly cute. The kid was only 7 years old and received lots of enthusiastic applause. 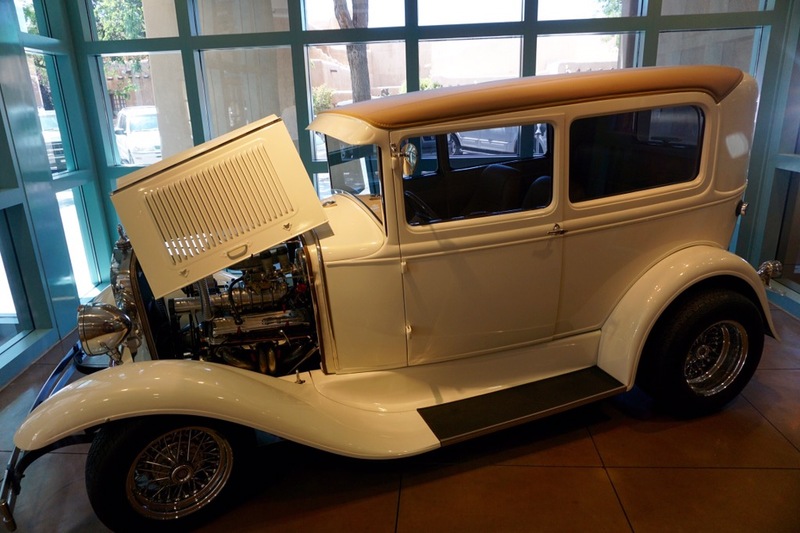 Our next stop was the New Mexico History Museum and Palace of the Governors, both had popped up on all of the lists of “must-see” places in Santa Fe. 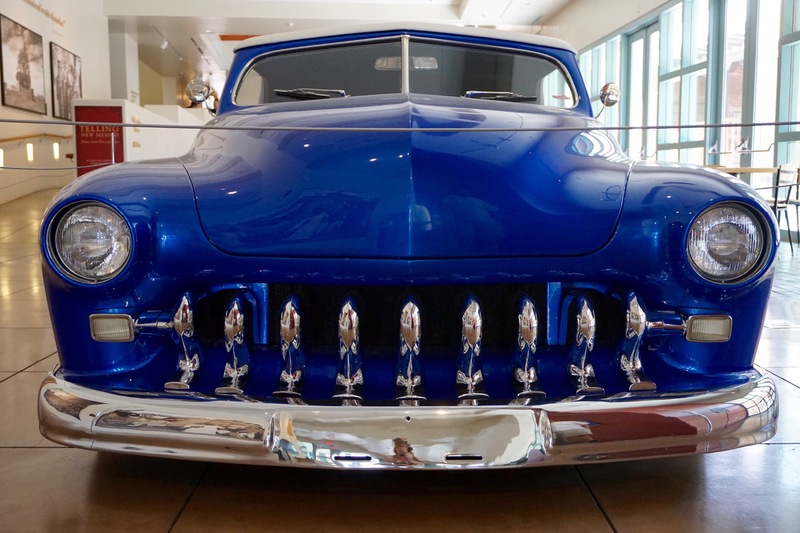 The history museum was a bit underwhelming but we enjoyed the exhibit on low-rider cars. No photos were allowed inside the exhibition room. My favorite element was the display translating Cholo slang into common English. It reminded me of when I took a class called Hip-Hop Literacy in college and listening to our professor explain the intricacies of the African-American vernacular to a group of 19 year-old white kids. Our professor was a huge Samoan man who also tried to teach us break-dancing. Seriously. The academic study of slang is interesting but usually feels a bit ironic. 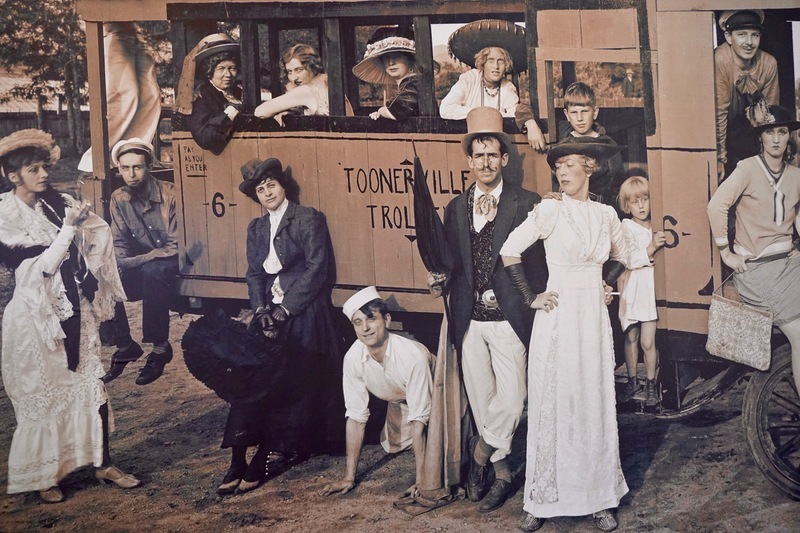 I think this is a staged historic reproduction and not a real historic photo but I could be wrong. Look closely. That’s not a real truck. 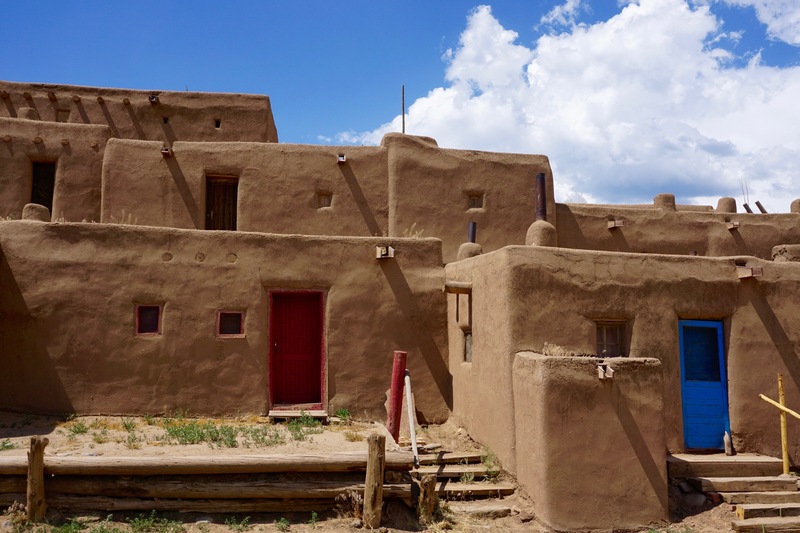 The Palace of the Governors is a very old building, built in 1610. 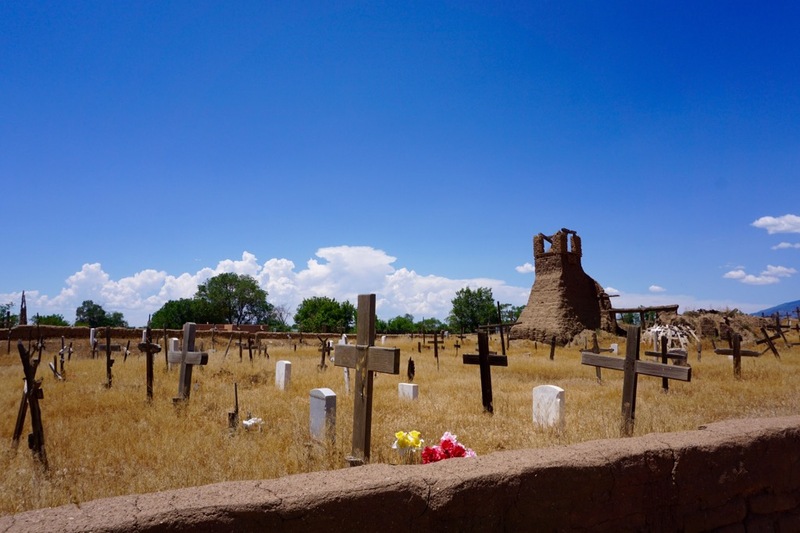 It was destroyed during the Pueblo revolt of 1680, but was rebuilt and has served as a place of government under Spanish, Mexican, and American governments. It is the oldest continuously occupied public building in the United States. The palace might have been more interesting if we had not already been so worn out on history museums. 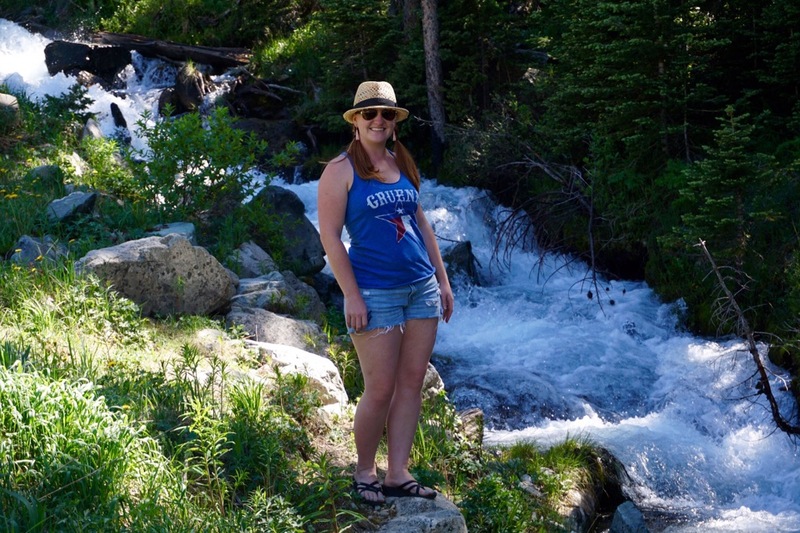 We decided we were done being tourists for the day and went back to the RV to get ready for our drive to Taos, New Mexico the next morning. 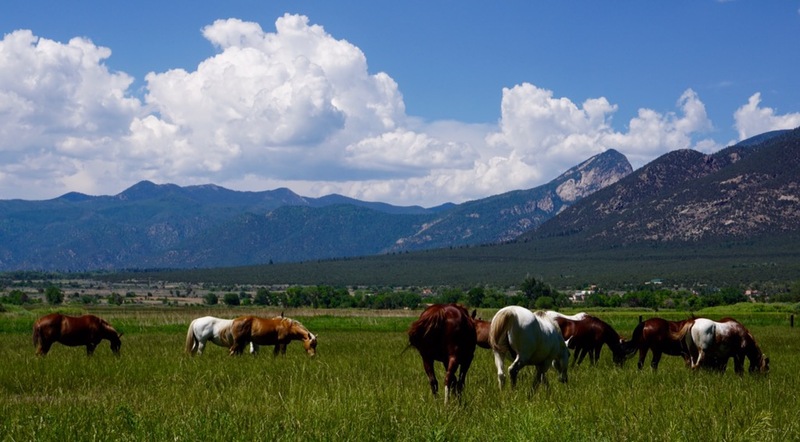 The drive to Taos was one of our shortest drives yet, but was exceptionally beautiful. Highway 84 from Santa Fe to Taos is narrow, winding, and a long climb, but the views of the mountains in the distance and the Rio Grande River below are wonderful. Our drive was peaceful and uneventful until we turned onto the street where we would be camping for the next two nights. We underestimated the turn and one of the RV tires went over the tall curb. Based on all of the tire marks on this particular curb, we were not the first to have done this. The RV and Jeep were just fine, no damage, but the sudden bump startled both of us and sent the contents of our cabinets flying. Both of our coffee cups (previously full) were on the floor. The brand new water jug we purchased the day before because we broke the last one was again on the floor, broken and spilling its contents. A few glasses broke inside one cabinet. Real glasses never last long on board. But worst of all, a bottle of sesame seed oil fell out of the pantry and broke right on our kitchen rug. The floor was oily and the whole place smelled like over-seasoned Asian noodles. As soon as we were parked at our spot in the campground we took the rug outside (it’s probably a lost cause) and I started sweeping, mopping and cleaning every surface until I could no longer smell sesame oil. Once everything was clean we took off for an exploration drive. 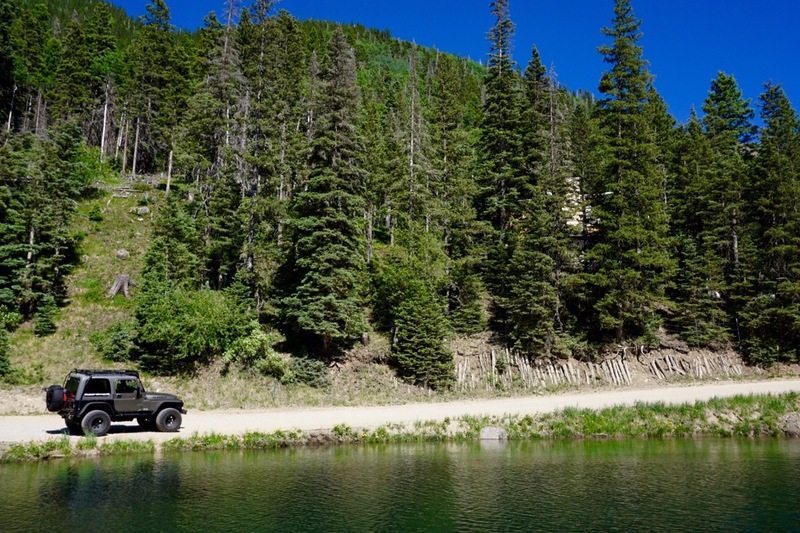 Sometimes we like to take the Jeep out with no particular destination. This is a great way to learn about the local area and get your sense of direction but today was probably my favorite random drive so far. 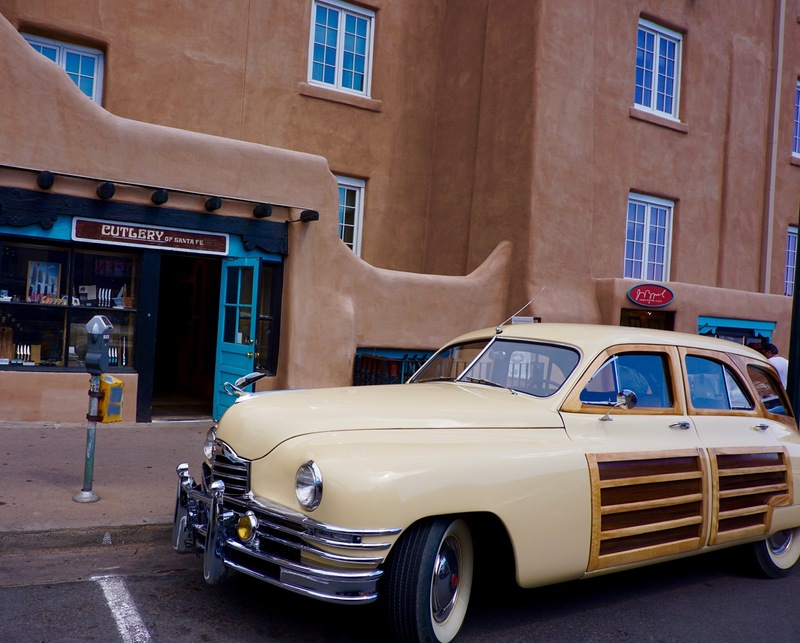 We started by driving towards downtown and found a cute little Main Street full of the doughy Adobe buildings you find all over New Mexico. 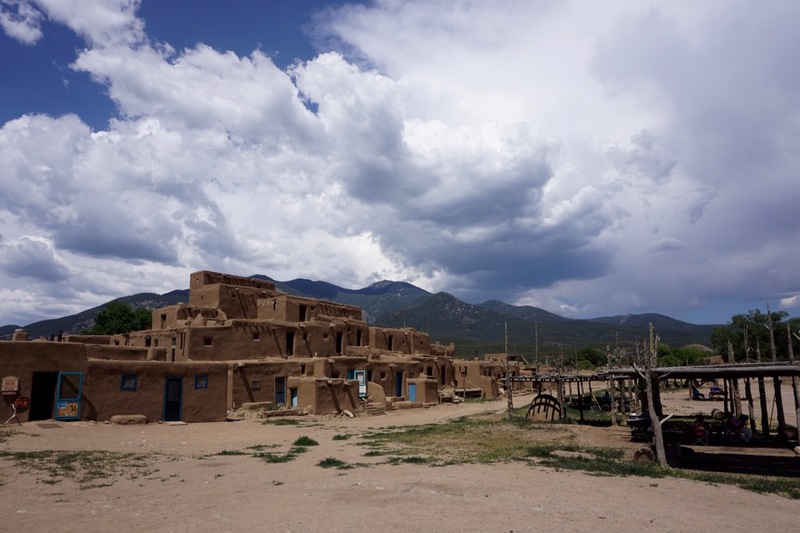 We kept driving towards the mountains until we arrived at the Taos Pueblo, a living Native-American tribal village. They told us we could not drive through but we were welcome to tour on foot. It was way too hot to tour on foot so we made a plan to come back the next day (not in the afternoon). We turned around and drove back through town, taking side streets to try and find the residential areas. Seeing where the locals live is always interesting. We ended up following the road up to a beautiful ridge line on the opposite side of town. And at the end of the road were signs pointing us to the Taos Ski Valley! We’d found the road up the mountain! 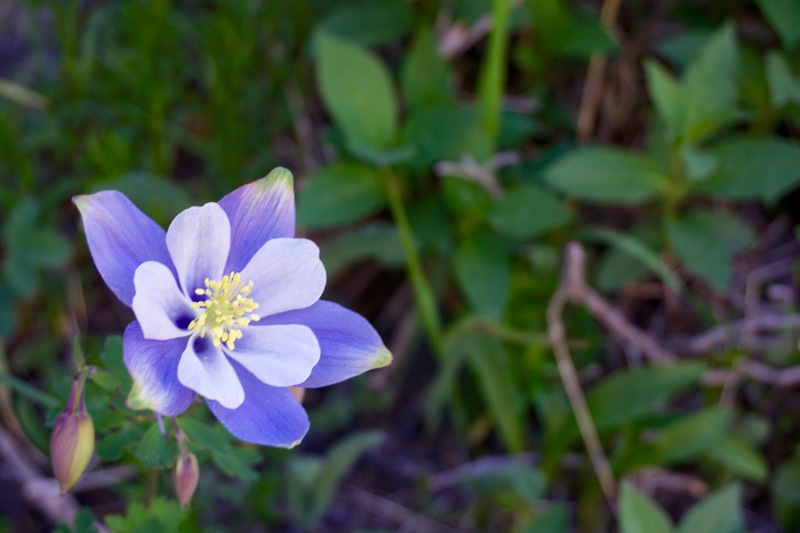 The road up the mountain led us through the Carson National Forest to the ski area at an elevation of 9200 feet. The landscape was strikingly different than the valley floor. As we climbed we became surrounded by aspens, huge evergreens, and everything smelled like cedar. 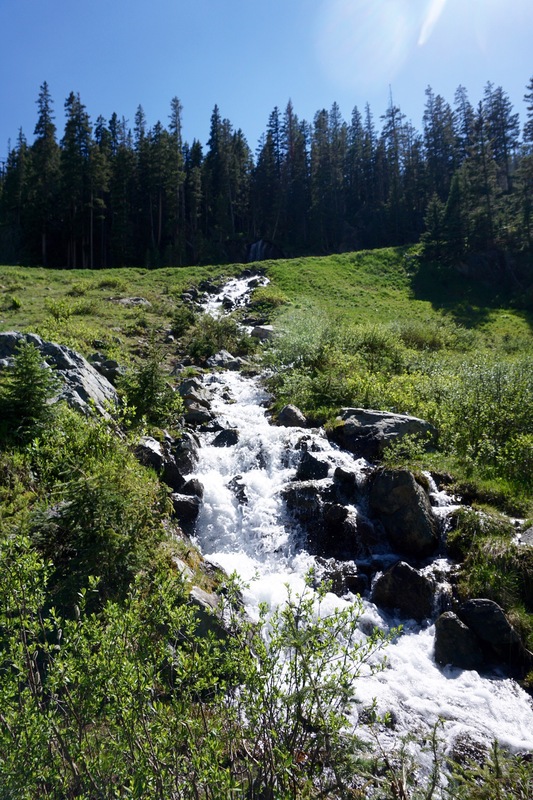 A mountain snow melt stream ran alongside the road. It felt like we were in Oregon again! There were also numerous spots to pull off the road and hike or camp. It was mostly tent camping but you could probably fit a camper van in a few places. 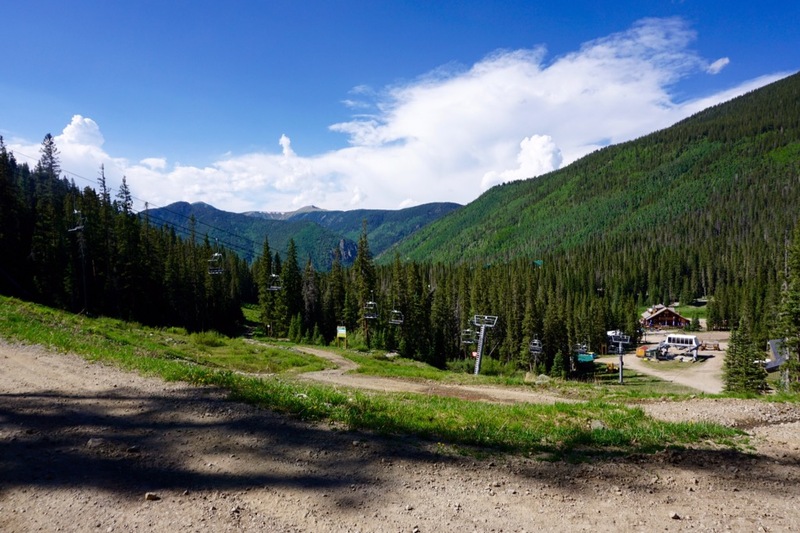 At the end of the road (about 15 miles) was the Taos Ski Valley, an entire village with the sole purpose of serving as a ski resort in the winter. The place was essentially abandoned for the summer months but the parking lot was full of trucks and crews doing the construction and repair that can only be done in the off-season. We continued on, beyond where the road specified that four-wheel drive was required, and drove up a dirt road past numerous condos and ski lodges for rent (all empty). The solitude of being in a ski resort during summer was very odd. Also strange was the dichotomy of the Native-American and Mexican influences in the valley below and the very Swiss Alps feel of the ski areas just 15 miles away. The architecture and economy were dramatically different. On our drive we found a lovely pond formed by the snow melt, a Bavarian style lodge and restaurant (closed for the season), wild flowers, and a series of waterfalls running underneath the ski lift. 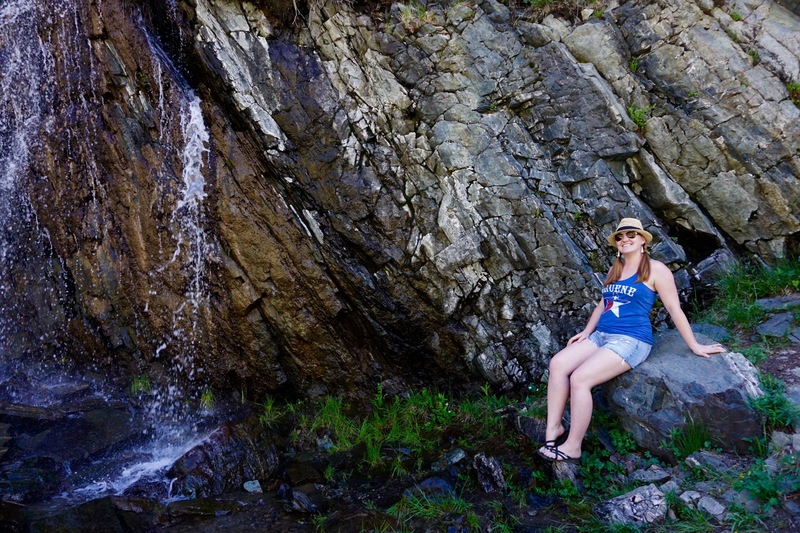 We hiked up to the highest waterfall we could reach and proceeded to take entirely too many pictures. Waterfalls are just so pretty that you almost can’t help it, even though the photos never really do them justice. On the way back down the mountain we realized just how hungry we were. We stopped for dinner at a place called the Burger Stand and Ale House. Everything was delish. The burgers and fries were all gourmet but the environment very laid back. I had a Kobe beef burger with fries dipped in duck fat (decadent but honestly an unnecessary step) and Brandon had a bacon BBQ burger with truffle fries. Yum! They also made their own pickles, which were awesomely spicy. We ate maybe half of our food. The beer was also made in house. Very full, we went home to spend the evening in the RV, planning tommorow’s adventures. 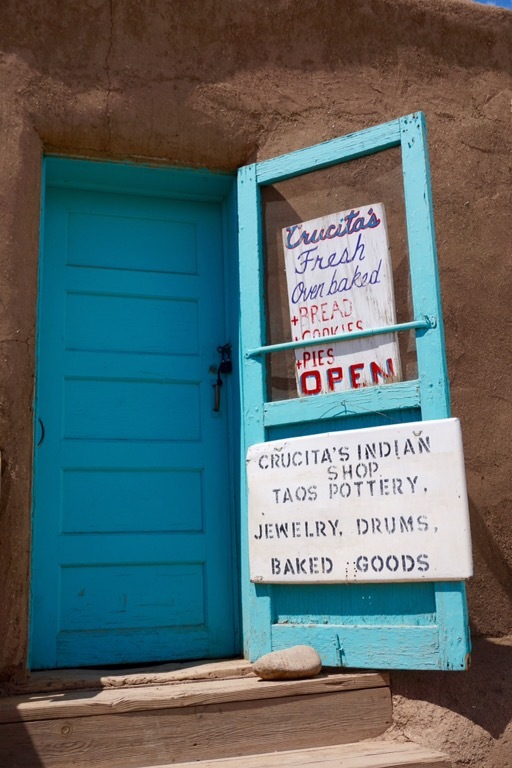 After a leisurely morning, and about an hour trying to download our wedding photo slideshow and then upload it to Facebook, we again drove out to the Taos Pueblo. We each paid $16 to tour the pueblo and joined up with a tour group led by a native of the village named Kevin. Kevin also told us his Native American name but I don’t know how to spell it. The tour leaders were all college students from the pueblo who volunteered as tour guides in exchange for tips. Kevin was working on his masters degree at a nearby university. The tour was very informative but not exactly lighthearted. 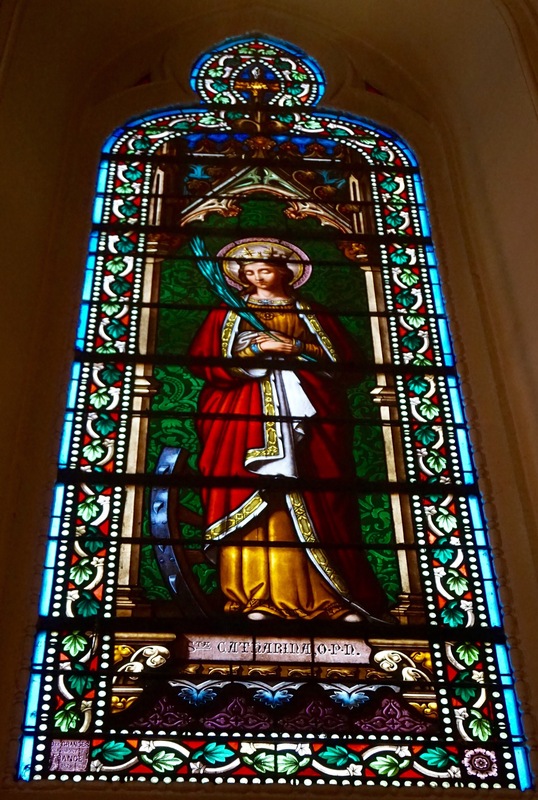 The Spanish forced the natives of the village (The Red Willow Tribe) to build a Catholic Church and convert to Catholicism. The natives revolted in 1680 and tore down the church. 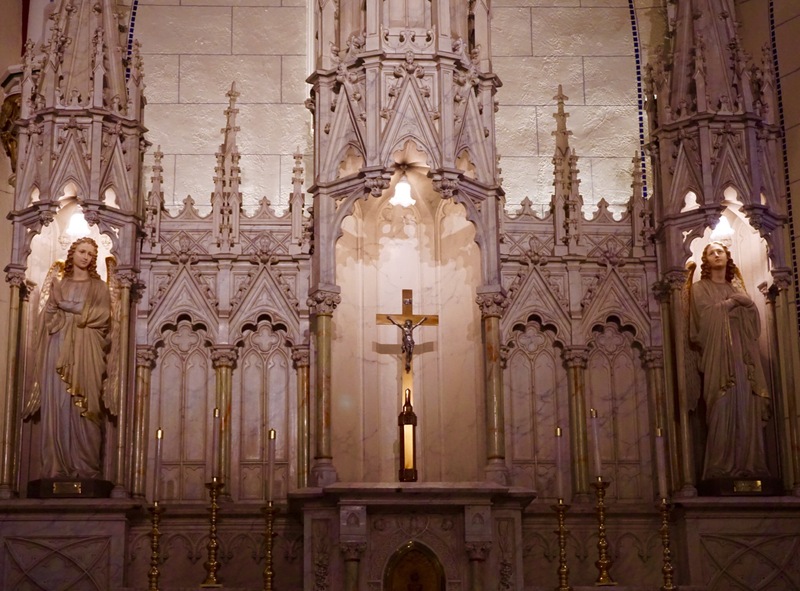 The Spanish quickly regained power and forced the natives to rebuild the church. 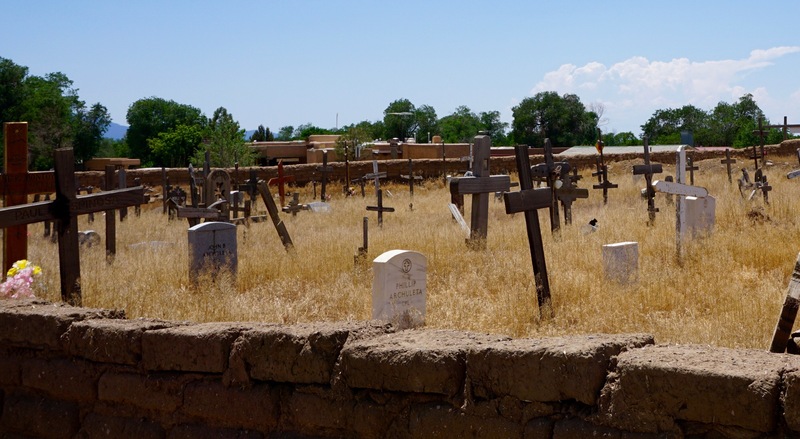 During the Mexican-American War the American forces surrounded the church, where many villagers were taking shelter, and fired on the church and all of the people inside. The location of the original church is now only used for burials. 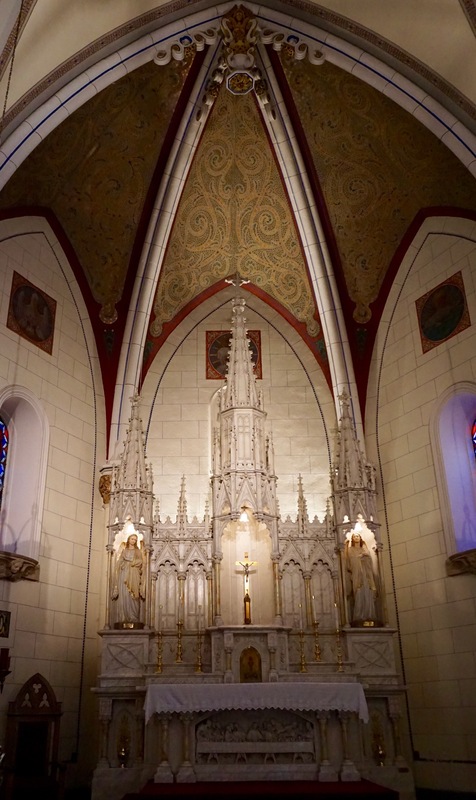 Amazingly, the natives rebuilt the church in a new location and still practice the Catholic faith, in conjunction with their own native religion. Our guide told us that the two religions now exist in harmony within the village, but I suspect that was just his stock answer for tour groups and the reality is much more complicated. After the tour we were left to wander through the village and visit the various shops run by the people there. We found some earrings for Brandon’s little sister and some sage smudge sticks for his mom. I was very impressed by the fact that the entire village, which has been standing for hundreds of years, was essentially built out of dirt, hay, and water. The bricks they build out of these simple materials are left to dry in the sun. They then stack the bricks to make a building. Everything is held together with a mud coating on the outside. They were remudding the exterior of the church while we were there so we were able to see what the process looked like. Apparently they have to remud all of the buildings about once a year, depending on rain and snow levels. The buildings were all very well insulated, making them surprisingly cool inside despite no form of air conditioning. 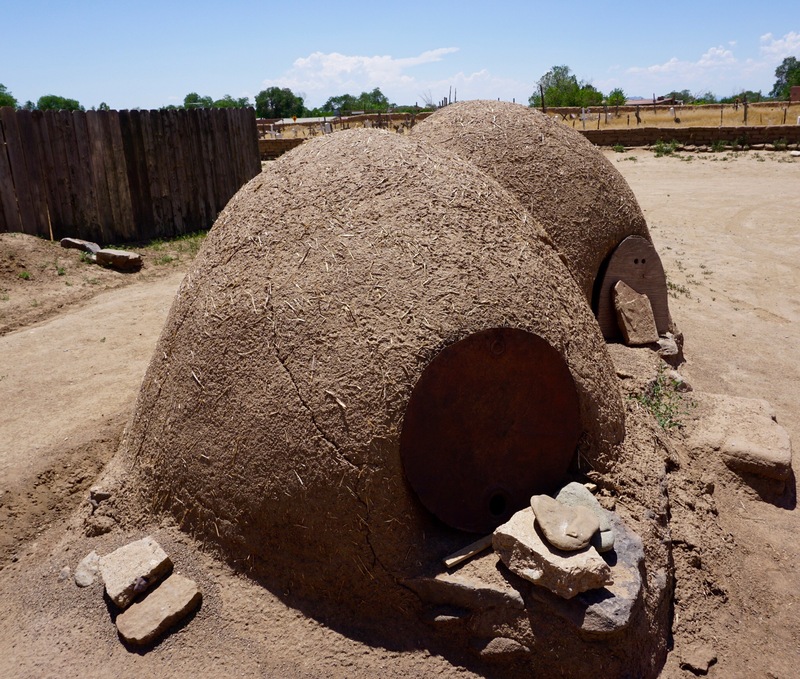 These mud huts are made from the same material as the buildings and are used as outdoor ovens. Also notable was how clean their water was. We saw a man drinking straight from the stream that ran through the village. 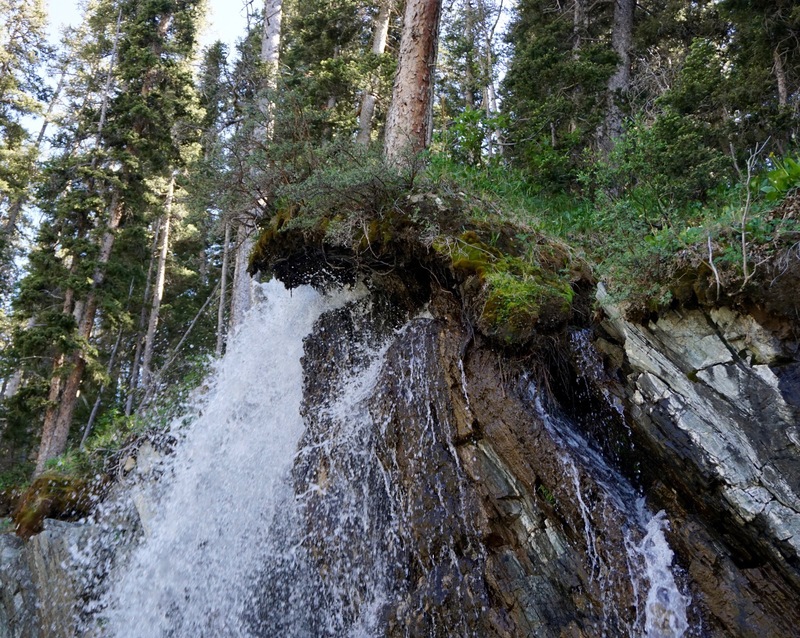 Even when gathering water from pristine looking mountain streams you are still advised to boil it before drinking. But that doesn’t seem to be a problem for the villagers here. I suspected this might be because of the high value they have placed on maintaining the purity of their water source. 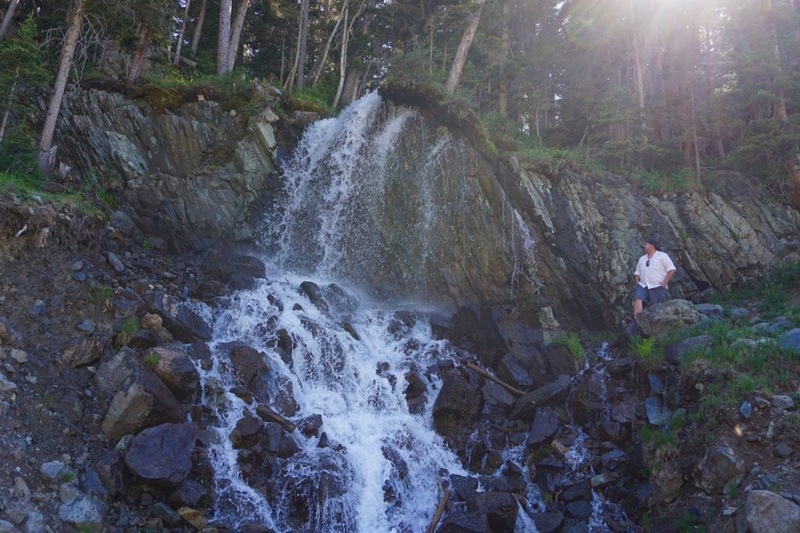 No development or recreation is allowed in the area of the mountain where their water originates and tourists are not even allowed to touch the water flowing through the village. Brandon countered that the water is probably not perfectly pure. The people have likely developed an immunity to whatever is in the water by drinking from the same source over hundreds of years. There is probably some truth to both hypotheses. The stream that flows through the pueblo comes from the sacred Blue Lake in the mountains above the village. The tribe still owns much of this area of the mountains. There are no roads to the lake but the villagers make a yearly pilgrimage to the sacred lake either on horseback or on foot. 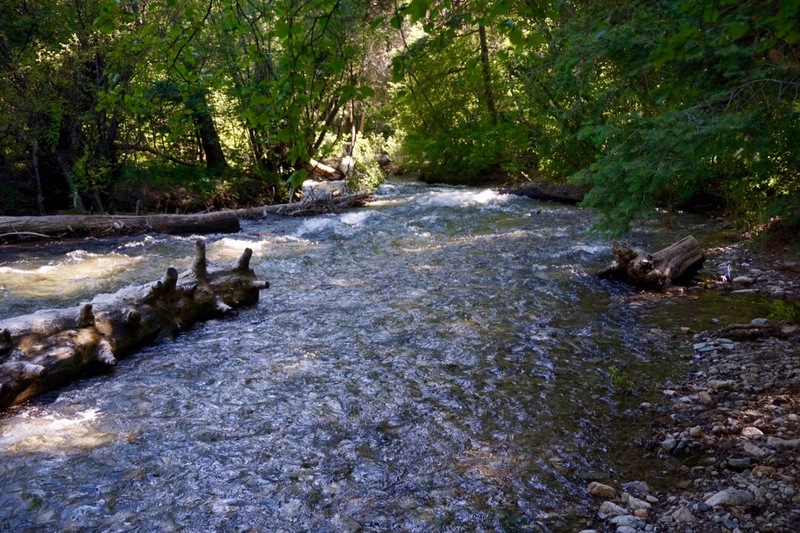 We were told that the stream maintains a constant year-round flow sustaining the village. 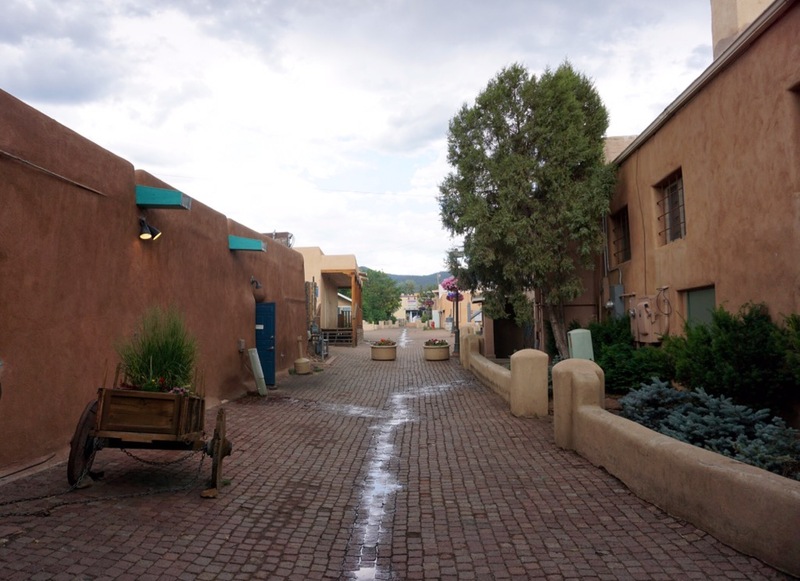 After touring the pueblo we drove back to downtown Taos to tour the plaza. 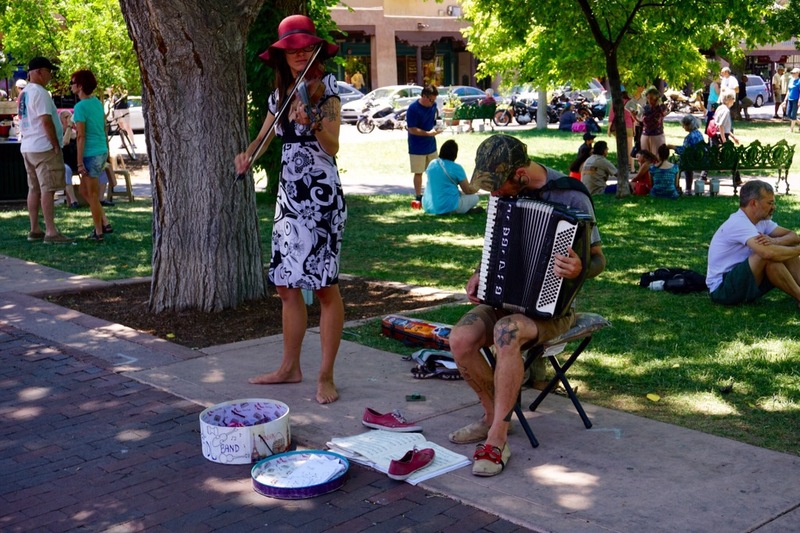 Plazas in New Mexico remind me of town squares in the south. However, instead of being centered around the county courthouse, the plaza is centered around a community park or gathering space, often with a fountain. In both cases the surrounding streets are filled with shops and cafes. We tried to park in a metered spot but realized we didn’t have any quarters. Doing laundry at laundromats has made quarters a hot commodity. We stoped at a Tuesday Morning nearby to try and make change and they told us we could just park in their lot as long as we wanted for free. That sure doesn’t happen in big cities! We really appreciated the small town hospitality. We really only walked one side of the plaza before it started to rain. When the rain started we were looking at shoes in a local outdoors store. The sales clerk happened to be a retired doctor from McKinney, Texas. 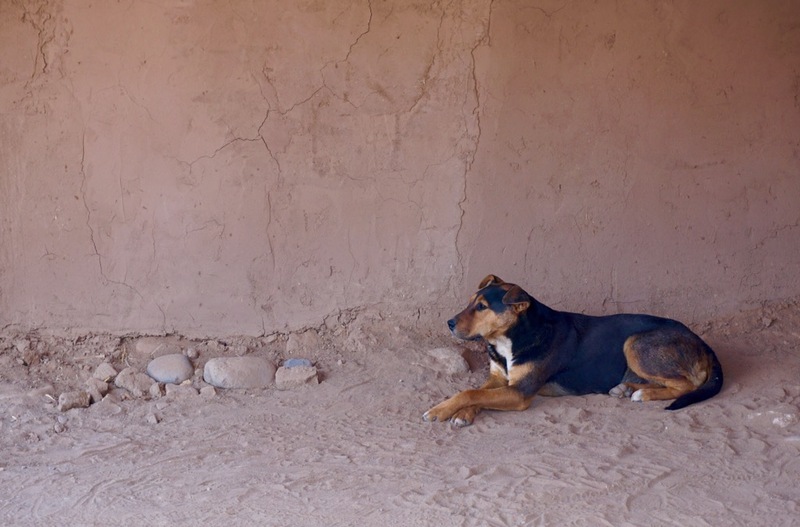 He grew tired of the hustle of working in Dallas and moved to Taos for a more peaceful life. He suggested we wait out the rain at the Alley Cantina, “Best margaritas in town. Tell them Dr. Jim sent you!”. 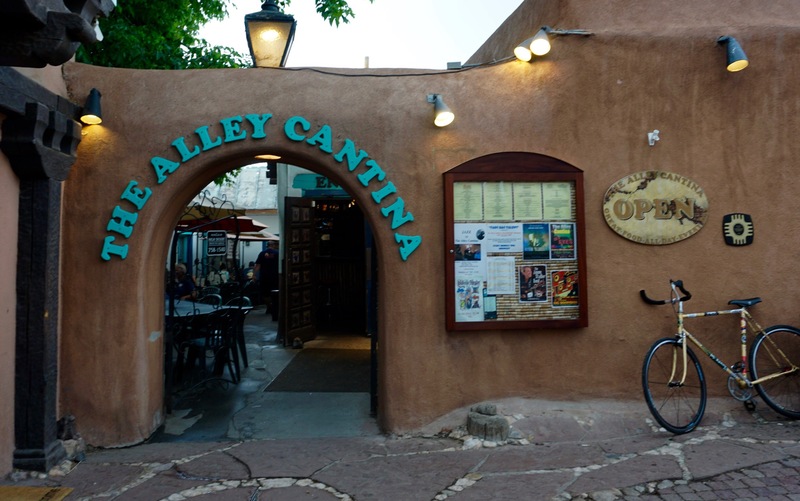 The Alley Cantina is the oldest building in the plaza, built in the 1600s. However, all that actually remains of the original structure is the bathroom and two walls in the kitchen. But it was a great place to wait out the rain. The margaritas were tasty and the food pretty good too. Most notable was the salsa, probably the best we’ve had since Texas. Fresh with a slow burn. The view of the mountains as the rain trailed off was spectacular. There was a stark line of light and dark that I regret not taking a picture of. We capped off the evening doing some laundry at the RV park (after getting quarters at a laundromat because we were out, again). I caught up on my post cards while Brandon played video games. 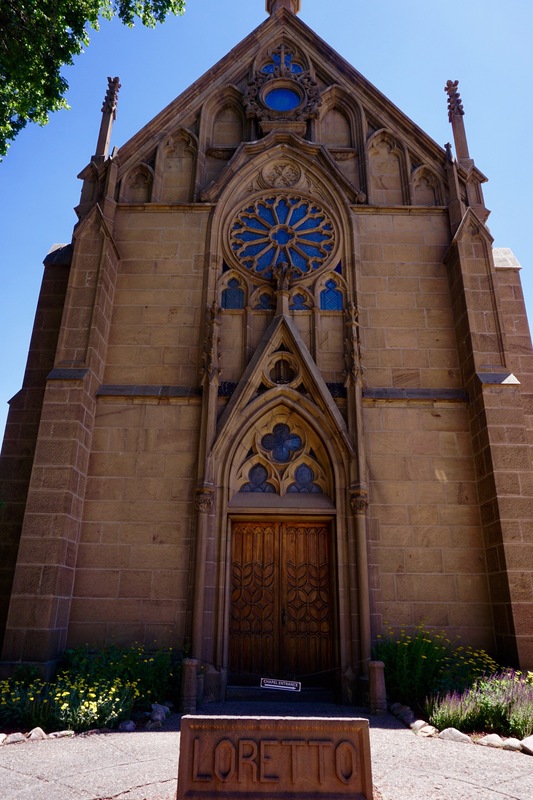 We went to bed feeling pretty satisfied with our time in New Mexico but also very excited about our early departure to Durango, Colorado the next morning. 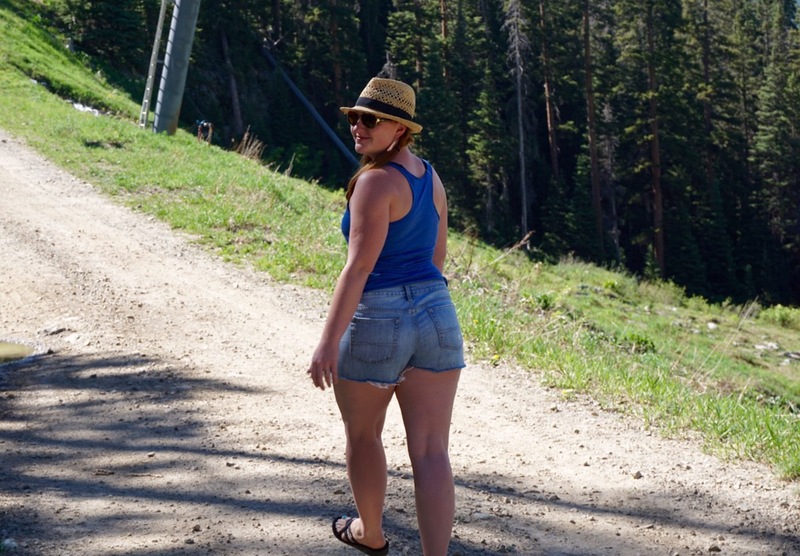 Jenny, those sandals you are wearing look dangerous for hiking! Stay safe, and thank you for sharing your spectacular journey with us all! Very cool. Thanks for sharing. I love it every time there’s a new post. I agree. 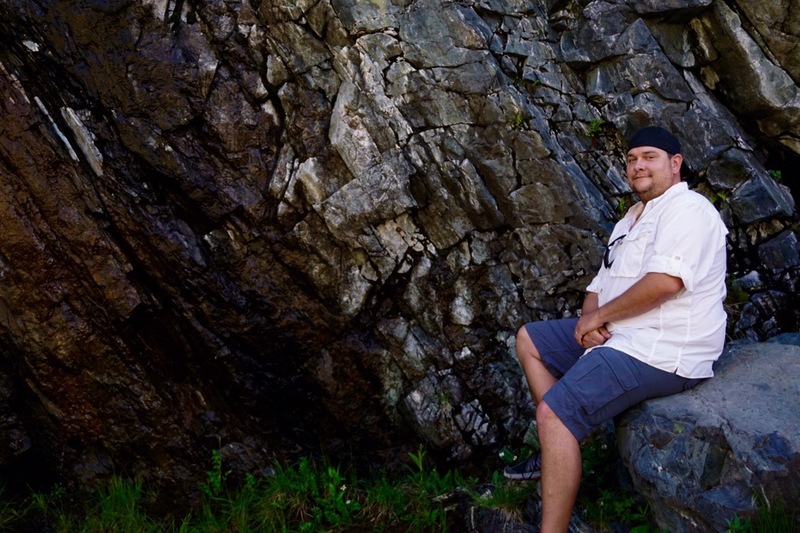 I don’t usually wear flip flops when hiking. I have actual hiking boots for that, but I didn’t know we would be hiking when we set off that day. Still, I didn’t want to miss the fun just because I wore the wrong shoes.